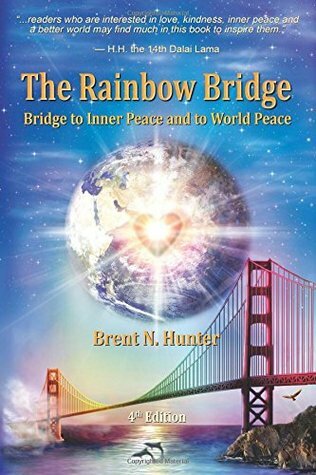 We are proud to announce that THE RAINBOW BRIDGE: Bridge to Inner Peace and to World Peace by Brent N. Hunter is a B.R.A.G.Medallion Honoree. This tells a reader that this book is well worth their time and money! I won a free copy from the First Reads Giveaway Program and think that it interesting. I would recommend it to everyone. I received this book through a giveaway. What to say about this book. To me it appears to attempt to take all the good tenets of every belief system while ignoring the flawed. Not that doing so is a bad thing but in some ways to simplistic, since too many people are invested in their us vs them forms of dogma to be able to get this "new" way of thinking to ever take hold in the world. I graciously received a free copy through first reads.This book is about unifying everyone which is something I totally agree should happen. However, I'm not really into meditation which is a portion of this book. Some good an uplifting quotes in this book.I would recommend to anyone who is about finding their inner peace. Oh gods, where to start. This was a book club choice and the member who picked it spent the entire meeting apologizing. I'm not going to waste any more time on this trash and neither should you.